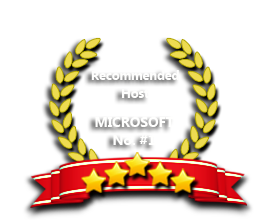 ASPHostPortal is the leading provider of Windows hosting and affordable ASP.NET 4.5.2 Hosting. Our price starts from $4.49 per month. Finally, the long awaited release of ASP.NET 4.5.2, ASPHostPortal are happy to announce the availability of the .NET Framework 4.5.2 for all our hosting packages. It is a highly compatible, in-place update to the .NET Framework 4, 4.5 and 4.5.1. This session explores the great new features that have been added to in place update known as ASP.NET 4.5.2, such as : ASP.NET improvements, distributed transactions enhancements, high DPI Improvements,improved activity tracing support in runtime and framework and robust profiling. Our Windows Cloud Hosting fully supports ASP.NET 4.5.2 hosting. You are more than welcome to try our Free Windows Cloud Hosting before you decide to buy. You can get your Free Cloud Windows hosting account up and running within the next few minutes.